The client list of Ocean Way Studios is a Who’s Who of the music world, and includes some of the biggest names in the business. Not only that, but many have recorded some of their best music here under the auspices of legendary engineer Allen Sides. 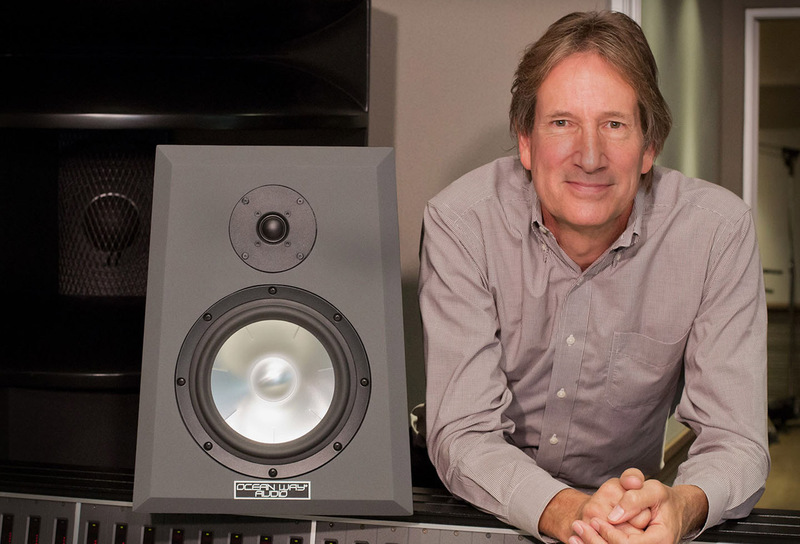 The five-time Grammy award winner isn’t only the proprietor of Ocean Way Studios, but also the designer of the custom studio monitors that have been a pivotal part of the Ocean Way success story. The monitors are produced under the Ocean Way Audio banner and these days, the range includes both professional studio monitors and high-end home audio loudspeakers. In both instances, the objective is to recreate the original recording as authentically as possible. And that’s where it gets interesting. There is a general perception that studio monitors can sound too clinically analytical to serve in a home audio role. The fact that Ocean Way Audio itself differentiates between the two categories would seem to reinforce that notion. However, for Sides, the core objective is for his loudspeakers to sound musically truthful, which intimates that both the sonic and emotive content of a performance are expressed. It’s also true that some studio monitors have little chance of acceptance in a home audio role simply because they’re aesthetically challenged. After all, they’re tools selected for their sonic performance, and not because of what they look like! Which bring us to the Ocean Way Audio Pro2A studio monitor – a compact, stand-mounted active monitor. Yes, it belongs to the marque’s pro range, but as it turns out, it can stand its ground in home audio terms, too. The Pro2A is a near-field studio monitor, designed to be used in close proximity to the sound engineer working behind the mixing desk. That also explains their compact form factor, and their active status. The trapezoidal bass-reflex enclosure has a thick, bevelled front baffle which is home to a 25 mm silk dome tweeter and a 200 mm aluminium cone mid/bass unit. 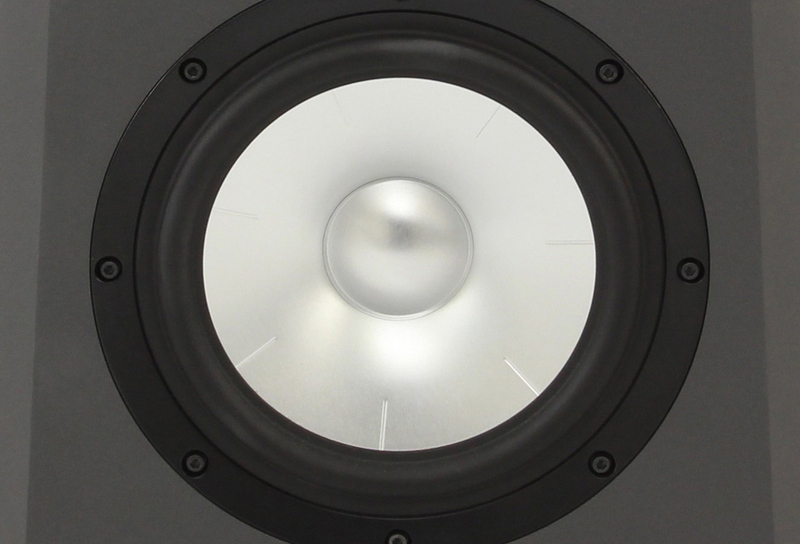 At 20,4 kg each, this is no lightweight speaker, and the cabinet feels both hefty and sturdy, with an inherent inertness that suggests a healthy resistance to resonance, and excellent structural rigidity. 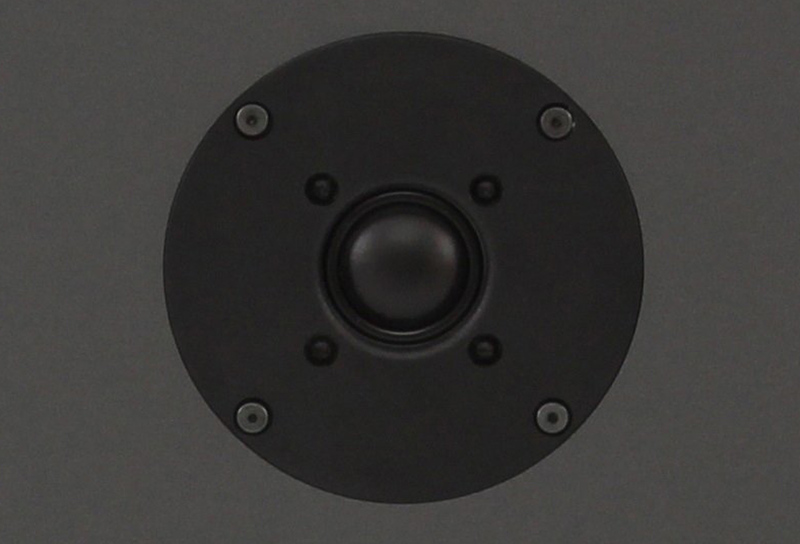 As this is an active speaker, the rear panel is a busy place. It offers a choice of analogue or digital inputs, both via XLR connectors, as well as an AES/EBU digital output. There is a screw-type master volume controller which effectively adjusts the input gain. Various operation modes can be selected, with an array of four LEDs serving as confirmation of the mode in operation. Besides the obvious choice between analogue and digital modes, there’s also a two-way/three-way selection, with the latter allowing the use of an Ocean Way Audio subwoofer, while invoking a fourth-order low-pass filter set at 85 Hz. Finally, there’s an IEC three-prong power socket, with an illuminated rocker switch. An Ethernet socket is marked ‘Service Only’ and therefore serves no end-user purpose. Each of the drive units gets its own, dedicated amplifier, each rated at 125 watts for a total per-channel output of 250 watts. The 25 mm silk dome tweeter is proprietary, and designed to deliver a high degree of mechanical linearity, even at high output levels. The partnering 200 mm mid/bass driver features an aluminium cone with geometrically arranged reinforcement ribs, combined with a vented, highly-rigid cast aluminium chassis. According to Sides, the mid/bass reaches higher up the frequency range than conventional drivers, benefiting both linearity and system SPL. The on-board digital-to-analogue converters accept digital signals up to 192 kHz/24-bit. However, the Pro2A is set up for analogue signal feeds by default, and that’s also the configuration I used for this review. 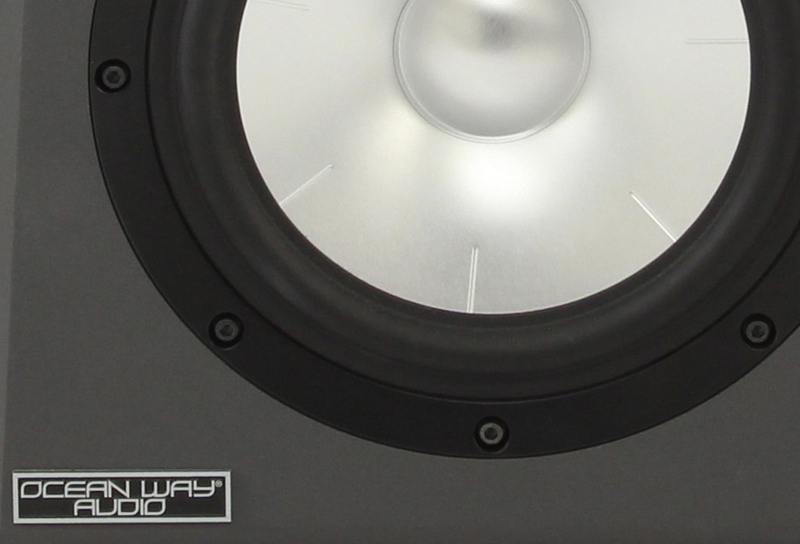 After a brief encounter with the Pro2As running in digital mode at Ocean Way Audio importers HFX Systems (see report here), the monitors were set up in a similar, near-field configuration in the AVSA listening room. To get them to the correct height, HFX had sturdy (and heavy!) stands made by Sound Structures. These were located more than halfway into the room, and also about a metre from the side walls for a truly free-standing position. Also, the speakers were toed in directly towards the listening position. That listening position was now only about 1,7m away from the midpoint between the two monitors, which is a good 2m or so closer than the conventional, average position for speakers in this listening room. Positioning of the Pro2A’s is absolutely critical – far more so than I’m used to experiencing, given that I’ve set up literally hundreds of speakers in this room. I spent a good few hours experimenting with different locations, and found that absolute symmetry is vital. Once you get it right, however, the soundstage snaps perfectly into place, the imaging becomes pin-point precise, and the speakers are no longer discernible as point sources. The monitors received their analogue signal from our regular Primare PRE32/MM30 pre-amp, utilising long runs of XLR-terminated Van Den Hul D102 Mk III cable. Source components included a Lumin D1 network player, and a Marantz SA-KI Pearl Lite SACD player, together with a Bryston BDA-3 D/A converter. As I mentioned in my earlier impressions of the Pro2As after hearing them at HFX, the most striking aspect about these monitors is their ability to deliver an almost full-range sound from a small cabinet and a two-driver array. Not only that, but these two compact speakers create an expansive, almost eerily three-dimensional sound picture that seems unfettered by the physical boundaries of the listening room. And best of all, the speakers become completely invisible. Close your eyes, and it’s impossible to pin-point where the monitors are relative to the soundstage – and predictably they sound much larger and more tonally generous than the actual devices. Equinoxe Infinity is French synth maestro Jean-Michelle Jarre’s first album since 2016’s Oxygene 3, and it is also one of his best, awash with waves of synthesizers arranged in complex layers, creating a sound with an immersive, almost hypnotic quality. It’s a stern challenge for any system to be able to identify and separate those individual layers without losing the coherence of the music. The arrangement is dense to the point of sounding impenetrable on lesser systems: it demands clarity, insight and precision to reveal the layered dimensionality, the finer subtleties, and the high-frequency detail, while also doing full justice to the momentum, and the low-frequency impact of the music. The Pro2As may be compact, but they were well up to the challenge of recreating Jarre’s vast and intricately rendered soundscapes. Not only that, but they were able to unravel the density and complexity of the music in a way that was almost magically revealing. The delivery showed off an inherent agility and athleticism that allowed the Pro2As to closely and precisely track the musical action. There was a real sense of pace and momentum, with the speakers easily keeping up with the music’s intricate rhythms. The Pro2 As showed off an almost uncanny clarity that allowed full and detailed access to every aspect of the music – from the fine flecks of sparkling detail to the broader, bolder, bigger bass lines. That lucidity also allowed the vast dimensionality of the music to be experienced: it was easy to identify individual layers of sound, arranged front to rear on the huge soundstage, and to follow the music’s ever-shifting sonic activity across all three dimensions. Tonal range was impressive for such a compact speaker. Ocean Way Audio claims a 37 Hz bass reach for the Pro2As, and that certainly seemed to be vindicated here: the bass was deep and powerful, with plenty of shove and impact, but never to the detriment of overall tonal balance. In fact, overall tonality was remarkably neutral, with a linearity that extended from low to high with a natural eloquence that contributed to the realism and believability of the music. Upper trebles were crisp and lucid, imparting precision and accuracy, but steering clear of becoming harsh or fatiguing. Despite its revealing nature, the speakers always sounded benign and musically satisfying, as long as the material being played back was able to withstand the speaker’s close and unwavering scrutiny. Karen Souza’s unexpectedly enjoyable rendition of Radiohead’s ‘Creep’, off her Quiet Nights set is a deliciously syrupy, almost tactile rendering with an acoustic bass that threatens to become overbearing. The Pro2As, however, were never in any danger of being overwhelmed, even though the bass is penetrating and bone-rattling. They were able to make the most of the bass-rich content, while also showing off their talent for expressing fine detail. They captured every pluck of the double bass strings, together with the slightly reverberant, crystalline piano, the sassy trumpet, the laid-back but swashbuckling percussion, and of course Souza’s sultry, smoky voice. The staging was wide open and inviting, while carefully placing the singer and her backing band in an utterly believable, spatially defined context. Again, the revealing nature of the Pro2As ensured full, unimpeded and undiluted access to every element of the music in a way that was both technically acute and musically satisfying – a very rare talent in pro monitor terms. The Pro2As captured the live ambience of Steven Wilson’s Home Invasion: In Concert At The Royal Albert Hall with vivid realism, but also made the most of the unusually adept and balanced mix. On ‘Detonation’, the driving bass was represented with vigour and presence, while Wilson’s vocals sounded almost startlingly realistic against a dense backdrop of frenetic drums, adrenaline-fuelled guitars and lively keyboards. Again the sense of dimension made the music seem almost palpable, even more so because of the inherent transparency of the speakers, which remained resolutely invisible as point sources on the soundstage despite their prominent, up-front positioning. TV actor turned blues musician Hugh Laurie’s Let Them Talk is more convincing than I would have ever expected from the ‘House’ star. The evergreen ‘St James Infirmary’ is a good case in point. It’s a challenging track that starts out with a plaintive honky tonk piano, but gradually adds an ever-increasing number of instruments and voices until the mix is densely populated. The Ocean Way Audio monitors seemed unperturbed by the challenge, filling the room with sound and easily paying close and convincing attention to even the finest slithers of detail, and always found the perfect balance between musicality and realism. The Ocean Way Audio Pro2A is not for everyone. 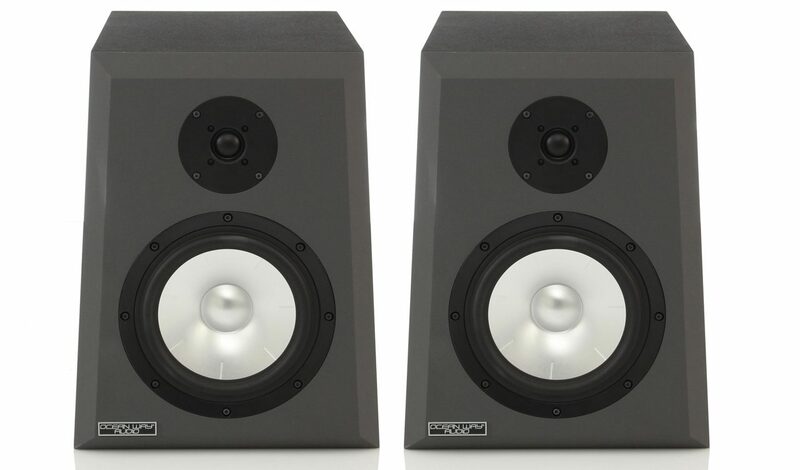 For those who like their speakers to be both eye candy and ear candy, the somewhat bluff finish and unashamed functionality of these monitors may be off-putting. More seriously, though, these are not speakers that can be unobtrusively propped up in corners: they are near-field monitors that demand meticulous positioning to show off their considerable capabilities, and will sound downright ordinary otherwise. However, it’s hard not to enthuse about how musically truthful and engaging these speakers are. They not only offer exceptional tonal breadth and dimensionality, but thanks to their carefully matched on-board amplification, also have the pace, punch and attack to match. As a result, they deliver their musical wares with a thrilling authenticity and an emotive believability that is anything but clinical, and that always puts the music first. 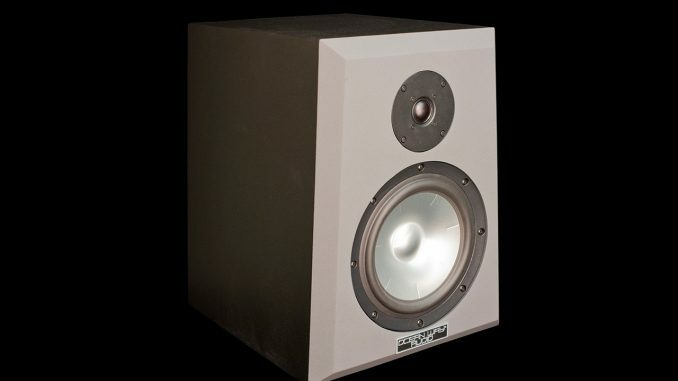 In that sense, these are loudspeakers that punch well above their weight – and given that the asking price includes the amplification, value is a strong point, too.